SIGN UP FOR A FARM SHARE NOW! Do you and your family want a closer connection to the farm your food comes from? 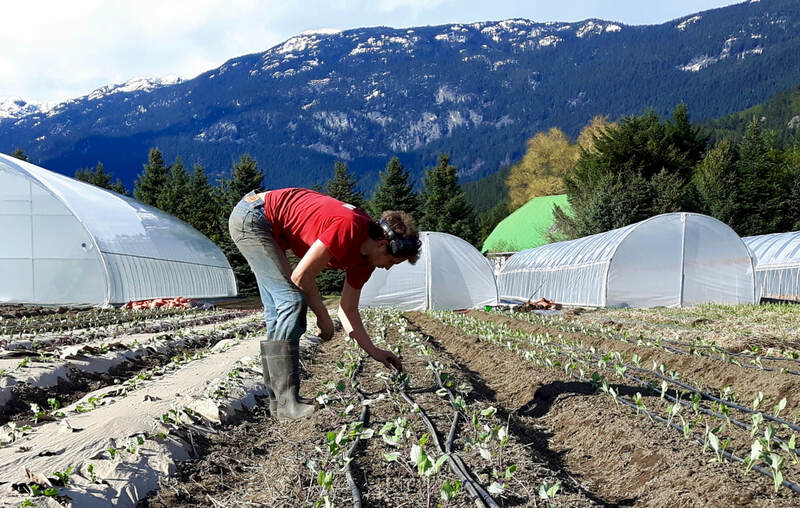 Our Farm Share program is designed to give you access to fresh, Pemberton-grown, certified organic produce while deepening your relationship with the farm & farmers. Members purchase a Farm Share during the winter, paying in advance for veggies that will be available throughout the spring, summer & fall. The amount you purchase is loaded as credit onto a card that you then use to shop with us at our Pemberton farm stand and the Squamish & Whistler farmers' markets during 2019. 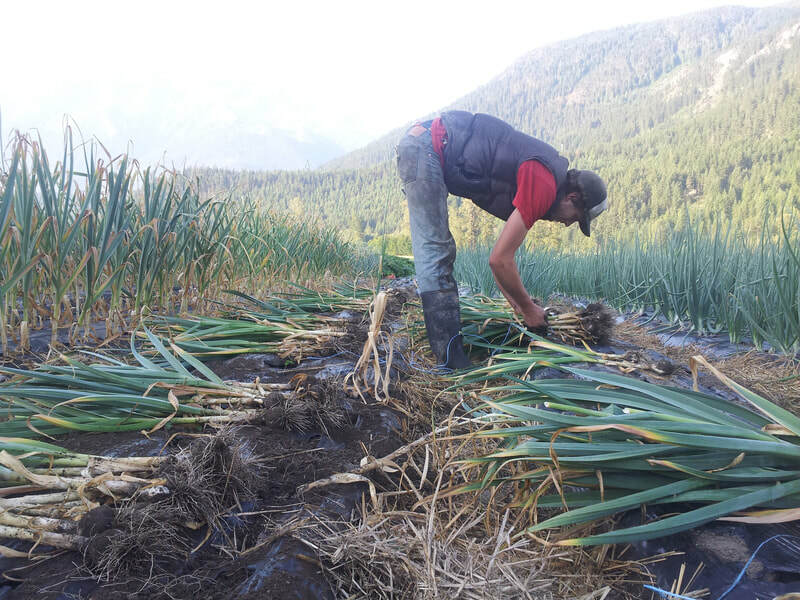 This upfront investment during the winter allows us to buy seeds, supplies and pay our staff to plant & weed crops during the early spring. Your support is essential at this point in the season when we have no income and a lot of expenses. Not having to worry about how much (or little) money we have in the bank helps us focus all of our energy on growing the best possible food for you! Members enjoy simple, cashless shopping with easy access to our wide selection of certified organic produce at three different locations, up to four different days of the week. Plus, if you sign up by February 28th, 2019 you'll get a free Plenty Wild Farms canvas tote bag and an extra 5% credit!! If you sign up by March 31st, 2019 you'll get an extra 5% credit! We also provide members with opportunities to engage with the farm & farmers and share in seasonal events. 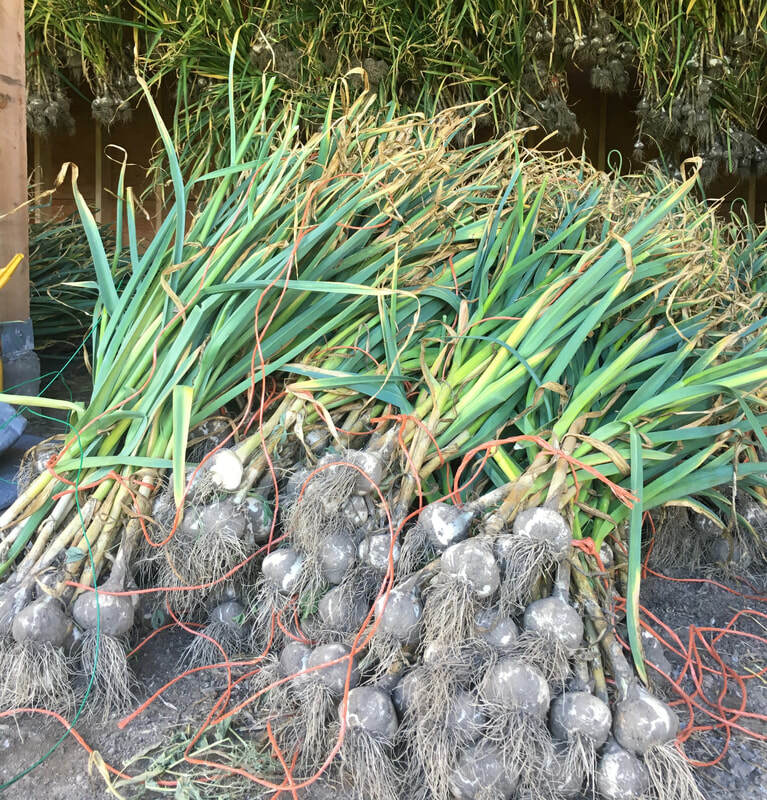 Besides receiving our weekly newsletters, you'll be invited to participate in our 2019 garlic & winter squash harvests and can join us for a fall potluck. ​You are also welcome to visit the farm during any of our monthly farm tours, which are open to the public but free for members. Our Farm Share program is based upon the idea that a strong relationship between eaters & farmers creates healthy communities and a sustainable local food system. That means you'll get to choose the quantity and variety of veggies you want, when you want them. No need to worry about what the heck to do with garlic scapes (unless you're curious). Want to spend all of your credit on tomatoes? Go for it! And if you happen to be away for all of July absolutely no sweat. Your early commitment to the farm makes a huge difference! Sign up by February 28th, 2019 and receive a Plenty Wild Farms canvas tote bag plus an extra 5% credit. That means if you purchase a $300 Farm Share you’ll have $315 worth of credit to spend.